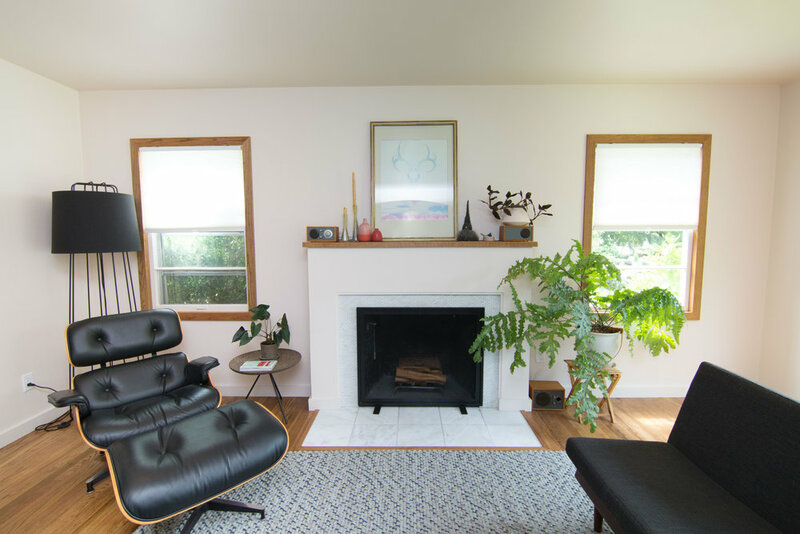 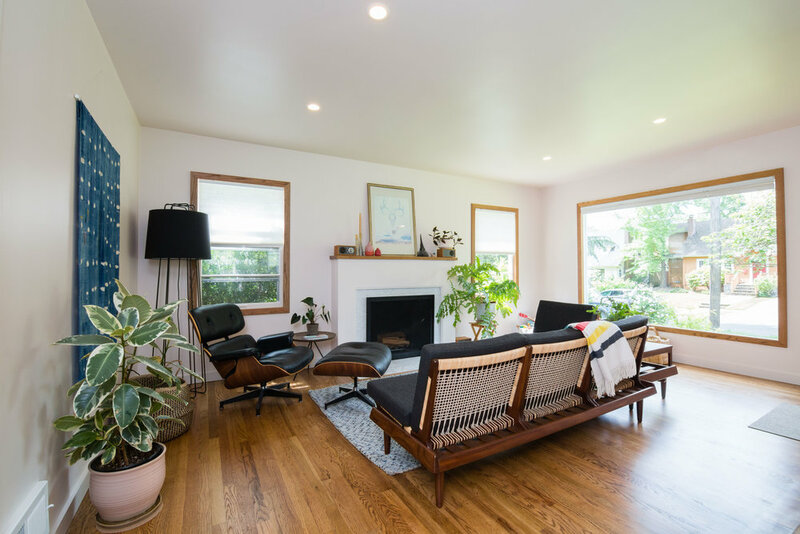 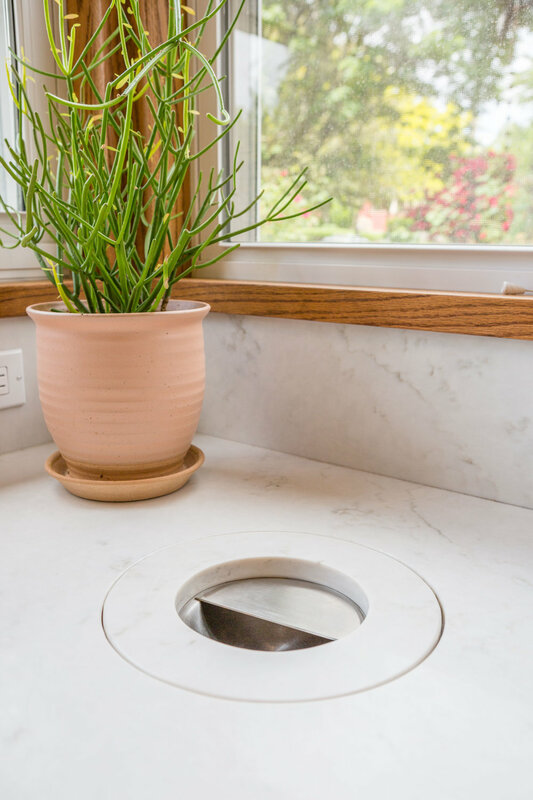 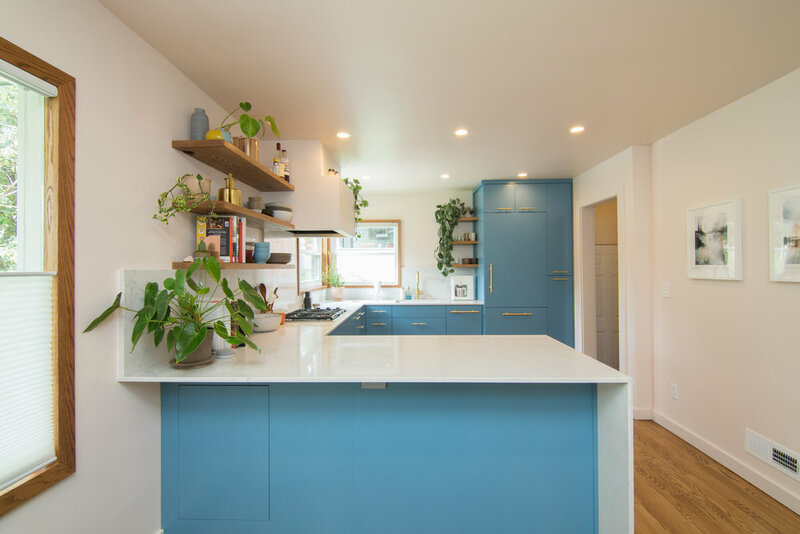 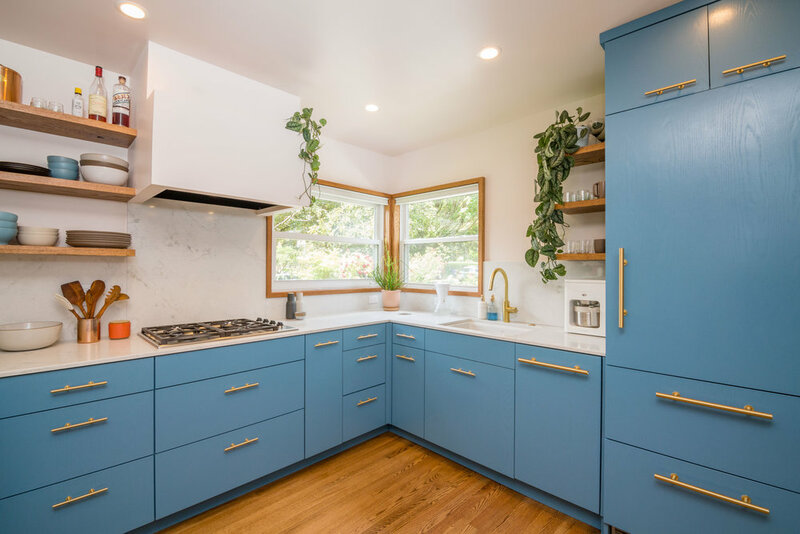 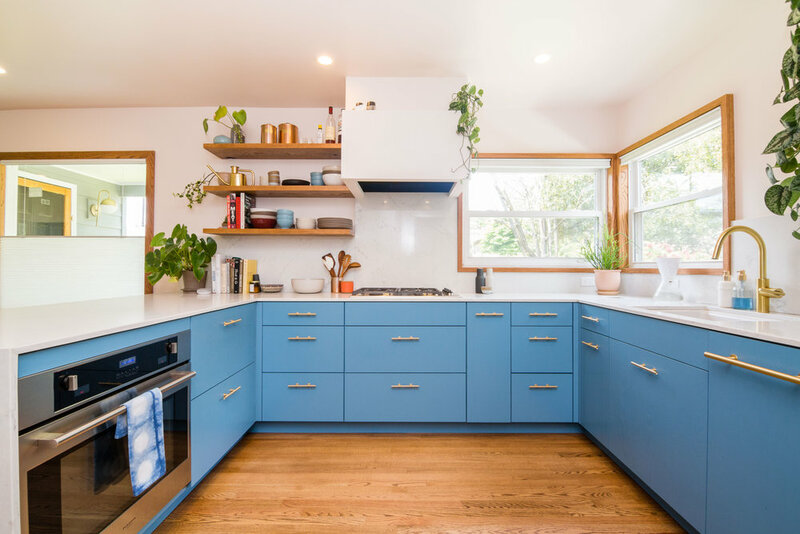 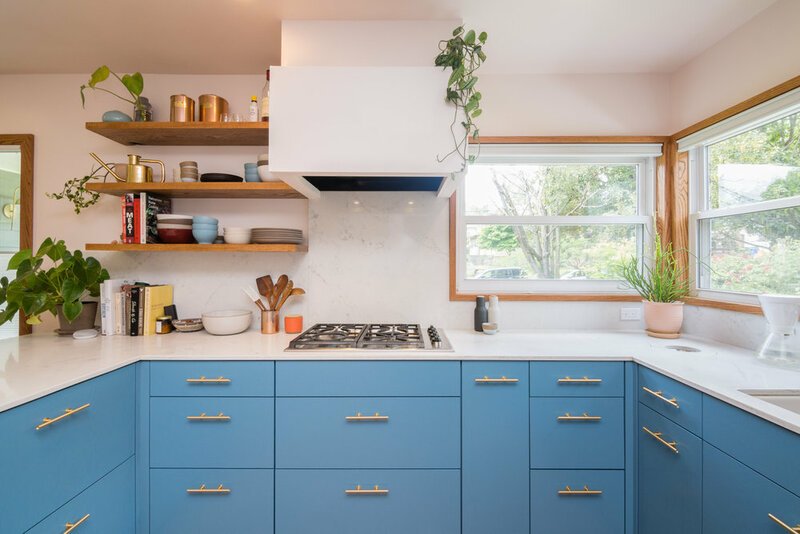 Modern kitchen transformation for designer couple in a mid-century bungalow house. 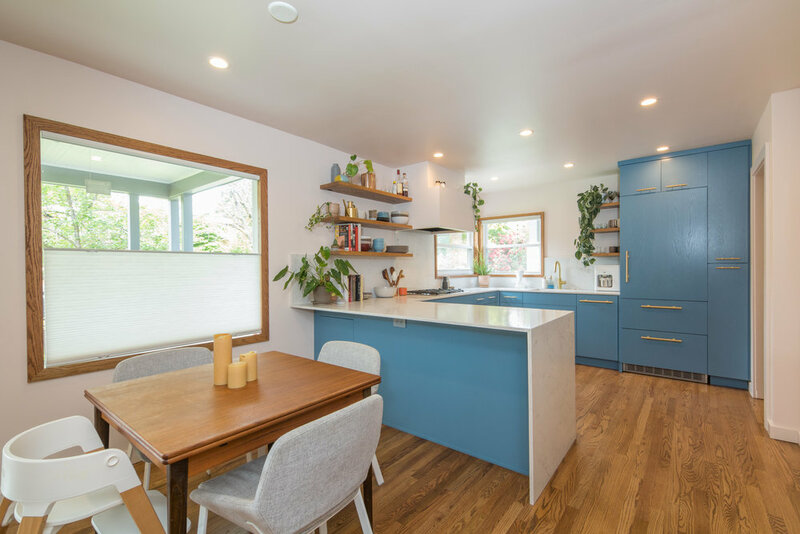 Walls were removed between kitchen, dining and living rooms for a fully open front room perfect for socializing while cooking and entertaining. 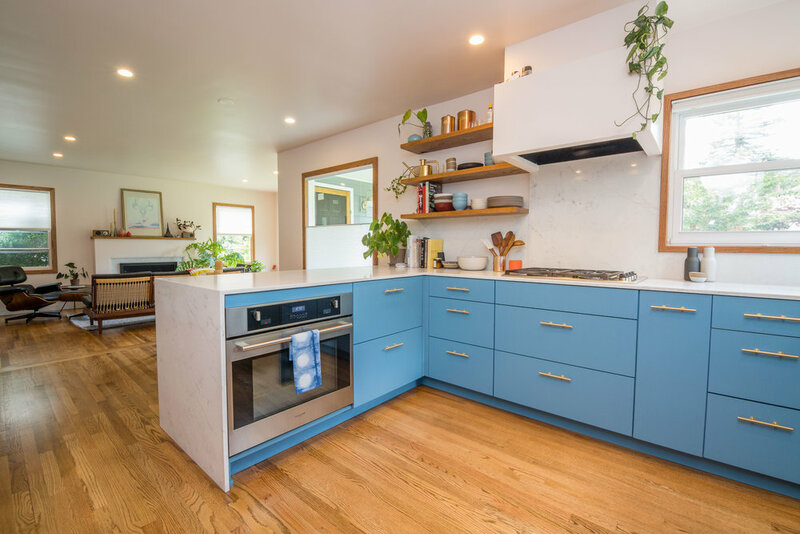 Paneled refrigerator and dishwasher were used to disguise the view of appliances from the living area. 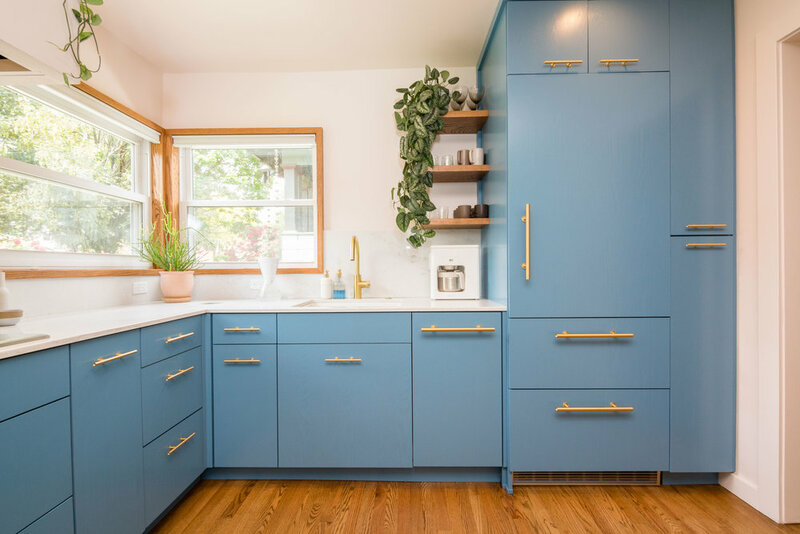 The clients choice of pink-hued wall paint and blue opaque stained cabinets make for a unique and beautiful presentation.